Kees van Weijen has been working in the Entertainment Industry in the Netherlands, Belgium and Great Britain since 1974. He acquired experience in every detail of the entertainment industry and the music business in particular. He is a self-made man, a team player with managerial talents. Kees has built up a substantial international network in the field. Enjoys working with people and bearing responsibility for content specific processes where the artists are number 1. During the span of his career Kees has worked for Universal Music as Executive Vice president, Managing director of Mercury records, MCA and Polydor, Rough Trade Distribution, with artists such as INXS, Kiss, Elton John, Dire Straits, LIVE, Bon Jovi, Def Leppard, No Doubt, U2, Lionel Ritchie, Andrea Bocelli, Caro Emerald, Tiesto, Jimmy Lidel, Armin van Buuren, The Editors and many others. Dutch IFPI awarded him in 2011 with the “Zilveren Fonograaf “ for outstanding contribution in the music industry. President of STOMP, Stichting Onafhankelijke Muziek Producenten in the Netherlands. Executive of the Dutch Pop Coalition Export. 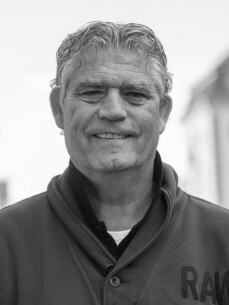 Kees was elected Chairman of the IMPALA board and after 4 years at the helm in 2017 President of IMPALA. Kees is board member of WIN World Wide Independent Network.